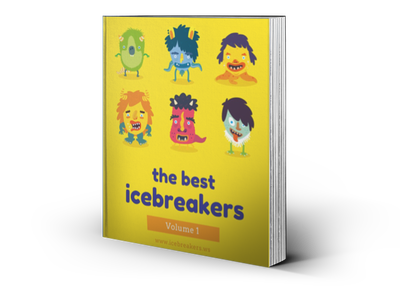 Sequence - Icebreakers, Icebreaker Ideas, Games, Activities! This is a team-building game of communication and pictures. Every member of the group will need to describe the picture they are given, and then as a group they must put the pictures in the correct order. The pictures for this game could come from children’s books, or comic books, and you can pick the source to fit the group. For groups of teenagers and young adults, a game involving a Batman or Spider Man story is bound to get an enthusiastic response. Children’s books, like The Tiger Who Came to Tea or Where The Wild Things Are, work well for nostalgic adults, and those who have children of their own. In everyday life we rarely describe pictures — we just show them! This game will warm up thinking muscles as well as talking muscles, which makes it an ideal start to a day of team-building activities, or as an a icebreaker to introduce new work colleagues. As the game organizer, who will not be playing, find a children’s book or comic book with at least as many pages as the number of players. Make copies of each page. Identify each of the pages with a unique number or letter, but not in their original order. If you had ten pages, you could first shuffle the pages, and then go through them numbering them 1 to 10. Players are not allowed to read the text on the pages. They must describe what is happening in their own words. The same rule applies to speech/speech bubbles on the page. They cannot read this speech directly, but can only vaguely describe what is being said. Players cannot show their page to any other player until the very end of the game, when the order has been decided. When deciding on an order, pages should be placed facedown on the table. The goal of the game is to have all the pages placed facedown in the correct order. Randomly hand out the pages to all the players, so that everyone has at least one page. If there are more pages than people they should be distributed as evenly as possible. The goal of the game is to have all the pages placed facedown in the correct order. When an order has been agreed upon by all players, the players turn all pages face-up and check that the story is in the right order. If there is any doubt, they can check with the organizer. Players cannot describe their images in words, but must re-enact the scene on their page in mime. Okay, I don’t think anyone has ever really tried this, but does sound funny!